Our family has lost a beloved father and husband, a friend, respected teacher and renowned artist. Born and raised in East Vancouver, Neil was interested in art from early age and later got a Bachelors of Education at UBC and a Master’s Degree in Art Education at Concordia University. Neil met Joanne and eventually they married and settled in North Vancouver where the couple designed and built a home in Lynn Canyon. Neil and Joanne soon after had two daughters, Eryn and Carli. Neil had a distinguished teaching career in the Burnaby School District for over 30 years. 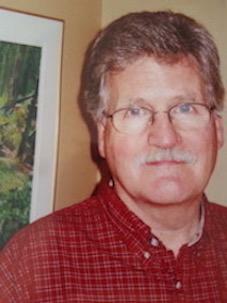 He retired from from teaching in Burnaby in 1999 and then joined the Faculty of Education at UBC. Retiring once again, he spent his days painting, traveling and participating in art shows, gardening and family. He also sat on the board at The North Shore Neighbourhood House and John Braithwaite Community Centre. Neil will be missed by many and we will hold him close in hearts by honouring his artwork and contributions to the community of Lynn Valley. Neil was a wonderful husband and father and very involved in family life. He was always there to help out and support his family including the extended family. He is survived by his wife Joanne and two daughters, Eryn and Carli, who will miss him always and forever.